"Henry reigned for thirty-nine years until his deposition in 1461, was in exile or captivity for a further nine, and resumed his royal power in 1470 for seven months until his murder. He succeeded his father as king at only nine months, and the first half of his reign was dominated by the latter phases of the Hundred Years War, which finally ended in catastrophic defeat for the English in 1453. Con­flict shifted from foreign war to civil war, while one faction then another sought to dominate the governance of Eng­land, as Henry failed to supply the requisite royal leadership to lead to successful war or domestic stability. Eventually he was dethroned by the first Yorkist king, Edward IV, after the bloody Battle of Towton in 1461. 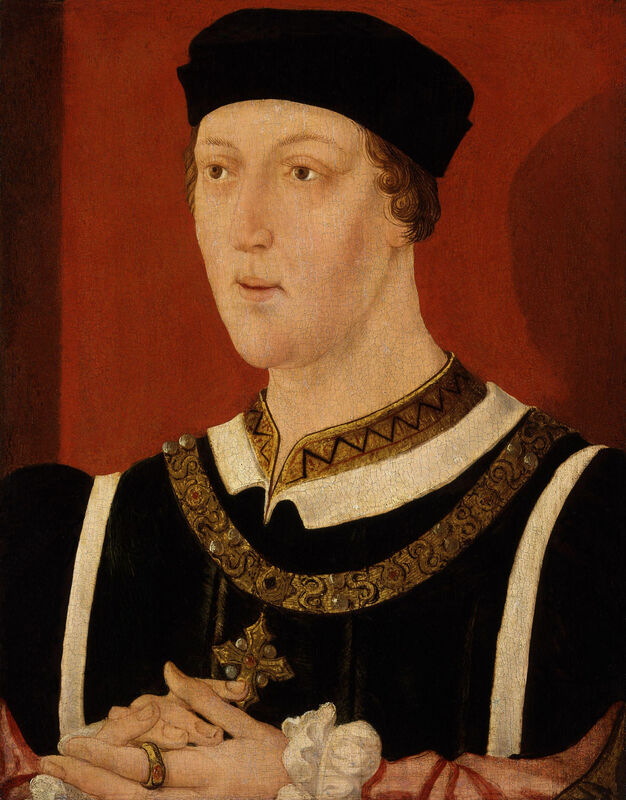 His cause seemed hopeless, especially after his capture and imprison­ment in 1464, and was only revived by splits in the Yorkist regime, though Edward IV ended these with his victory at the Battle of Barnet in 1471; a few weeks later, Edward's victory at Tewkesbury saw Henry's son killed and his last chance to remain king ended. Henry was put to death in the Tower of London a few days later."